I wish I had found this series after they were finished because I want to read the next book already!!! 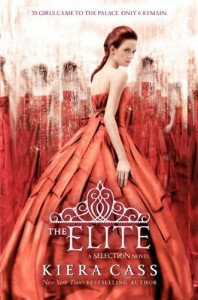 So not fair.It was a pretty good sequel to the first of "the selection" series. It didn't always just feel like a filler piece. There were parts where if you didn't know there would be a next one that you could imagine a conclusion before the end of the novel. Like I said I'm disappointed that I have to wait again and I'll probably forget how much I love them by then!